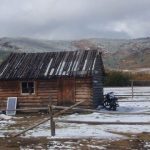 This itineraries of 18 days where one week trekking in the Arkhangai province, which is one of the beautiful regions of Mongolia, perfectly combines hiking and discovery of the nomadic lifestyle. With few transfers by vehicle, this trip is ideal for families with children. Accompanied by pack horses or yaks, walking from ger to ger through the hilly and wooded steppes irrigated by rivers. The Arkhangai presents a landscape typical large Mongolian plains, and has the advantage of being still very little frequented by tourist groups. Each evening you will be welcomed by farmers in the region in the privacy of the family ger. 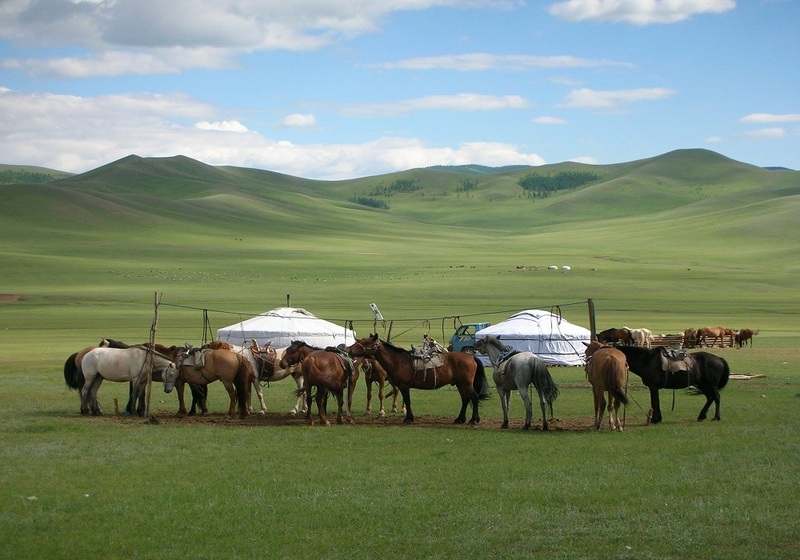 You will discover the daily activities and tasks of the nomadic life, authentic and still very much alive in Mongolia. Arrive in Ulaanbaatar the capital city of Mongolia. Our guide and driver will meet us at the airportand help transfer to your hotel. The city tour of Ulaanbaatar takes you through some of the principal sights of this unique city. You visit the Gandan Monastery, which was constructed in 1809. Your tour also takes to the Chinggis Khan monument on the Chinggis Khan square and the Museum of National History. In the evening enjoy a traditional art performance and welcome lunch in a Mongolian restaurant. Drive to Kharkhorin, the ancient capital of Mongolian Empire. This capital was built as far back as the 8th century, and was the city of Khyatanpeople, and was named “TakhilShivee”. Only in 1220 ChinghisKhaan declared it as the capital city of his Empire.Karakorum was destroyed a century later by the Ming troops. It remains today the remains. Visit the Erdene–Zuu, the largest and first Mongolian Buddhist monastery in Mongolia. This architectural gem surrounded by 108 stupas was built in 1586 by Abtai Khan. Drive to Tsetserleg. This capital of the Arkhangai province whose name means “Garden”, is one of the greenest and attractive cities.View of the city from a surrounding mountain. Visit the beautiful monastery museum of ZayaGegeen. Visit and walkat local market. The next morning you go to the Naadamof young men “Aduuchin”. 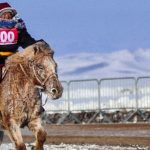 Presentation of activities of mongol horsemen: pickup perch, dressage horses and fight the mongol horsemen. Get ready for an unforgettable day! This morning, after breakfast you will walk towards to the family Bilgee. Bilgee lives with his wife and their 3 children. 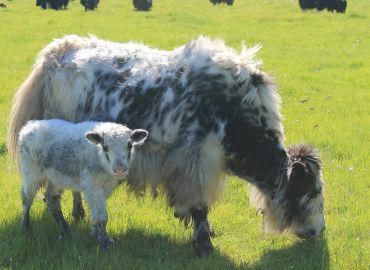 This is a young family that keeps the nomadic lifestyle. On the way you can enjoy a beautiful landscape of mountains and rivers. After breakfast walk to the family Tulgaand Nyambuu. Like the other day, picnic along the way,then you come across a tomb of the bronze age. You get to Jargalant, famous place for dairy products. They offer unconventional home-made special dairy products, such as “aaruul”- dried curds, Mongolian salty milk tea – Suutei tsai and so on. Nyambuu is master for preparation and production of dairy products. Discover the manufacture of deel or mongolian traditional clothing.You can interact with nomad people and get more intimate with their nature hugging life style. Today we will go to the family Battumur. 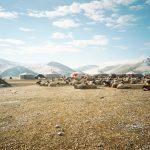 The way to Battumur is mountainous and tree, allowing you to have a wonderful view of the Arkhangai region and nomads. You will discover the farming of yaks and participate in the daily activities of the family. Days 11-12The secret of the Mongolian yurt. This morning you will go the familyDondov. You walk in the mountains and cross the river. This day will be full of adventure! 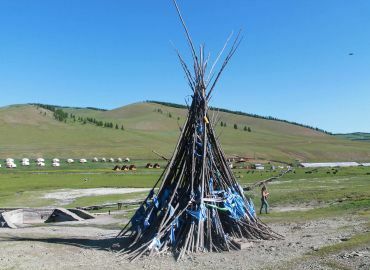 Nomadswill unveil the secret of the Mongolian ger: mounting, insulation, etc. There are 3000 years mongols living in the ger, but from the thirteenth century that several types of gers appeared. Dondov’s ger has a museum of the seventeenth century, decorated with antiques. He lives near the river and you hear the runoff. Listen to relaxing nature sounds. Today Dondov takes you in Ganbat. Along the way, we will discover the canyon Chuluut and Suman river valley dotted with volcanic lava. After arriving at Ganbat, lunch and walk to the extinct volcano “Khorgo”. The winter of 2010 was very tough for Ganbat’s family and they lost many of their cattle. Participate in our circuits thus enabling them to increase their income. This morning you will walk with Ganbat to the family Battulga. The Battulga’s family lives 3 km from the lake TerkhiinTsagaanedges. The White Lake is one of the most picturesque places in Mongolia. It occupies 25 km² and is 20 km long and 4 km wide. Battulga is veterinarian. He enjoys telling interesting stories related to breeding. Today you will leave the family Battulga and drive to the hot springs of Tsenkher. On the road passing by Tsetserleg, the capital of Arkhangai province.The water is at 85,5°C (185,9°F). Also, Tsenkher hot springs have healing properties notably on articular diseases and nervous system’s diseases. Curative water and amazing nature featured by wooden mountains make this an excellent place for relax. Night bath is great. Sitting in the pool drinking while seeing stars at the dark sky is one of the favorite activity in here. The open air-baths are recommended. Today you will drive to the Khögnö Khan Natural Reserve. The ecosystem of this park is particularly interesting, because the steppe and the taiga meet here. So, we can find a fauna and a flora that are characteristic of these two ecosystems, and also some wonderful landscapes, with the granite formations of Khögnö Khan. Walk in the Sacred mountainsof Khögnö Khan, then visit the small monastery Övgön which was built at the beginning of the XVII century and still active today. Drive back to Ulaanbaatar. You will have an opportunity to shop at cashmere and souvenir shops.